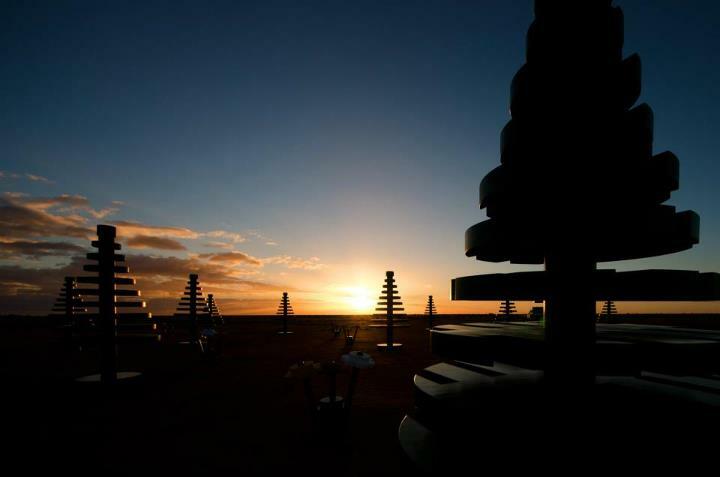 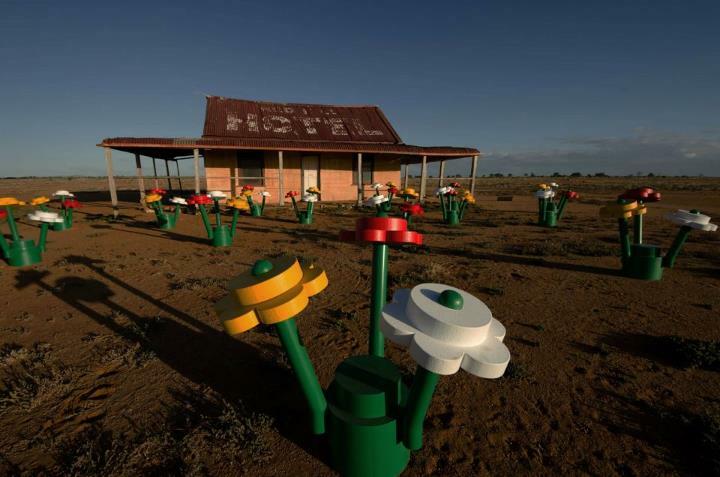 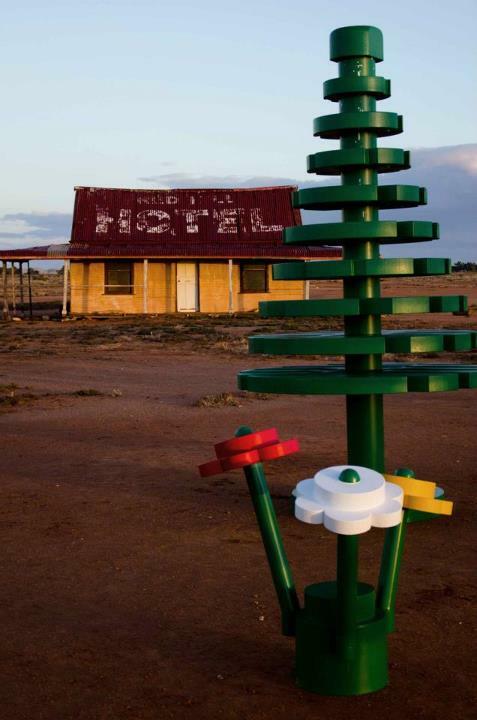 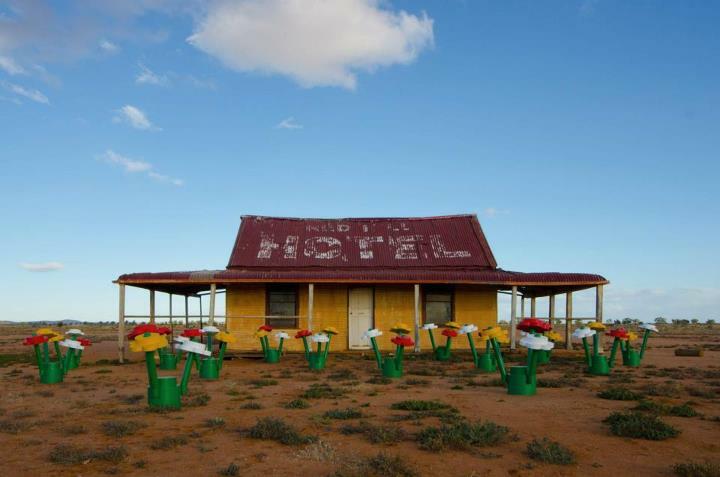 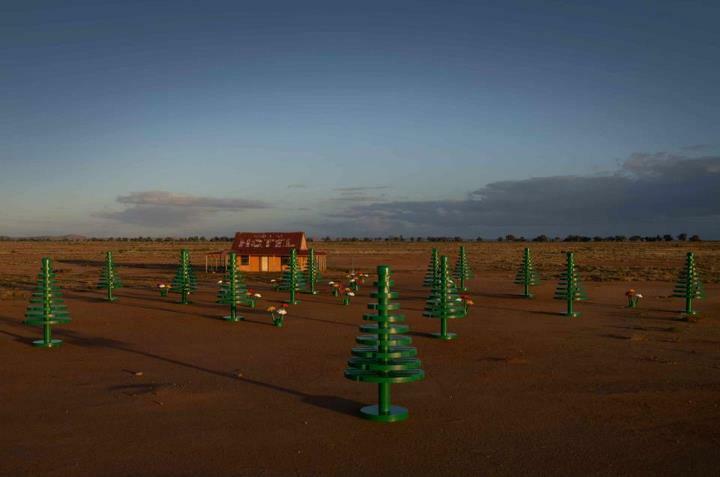 LEGO® Forest pops up in Broken Hill, Australia. 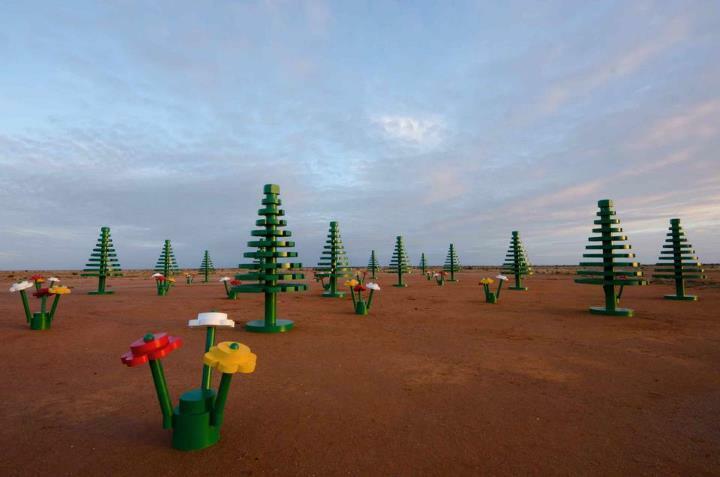 Broken Hill woke up this morning to a magical surprise, with a life-sized LEGO® Forest rising from the red soil to create a colourful contrast against the vibrant landscape. 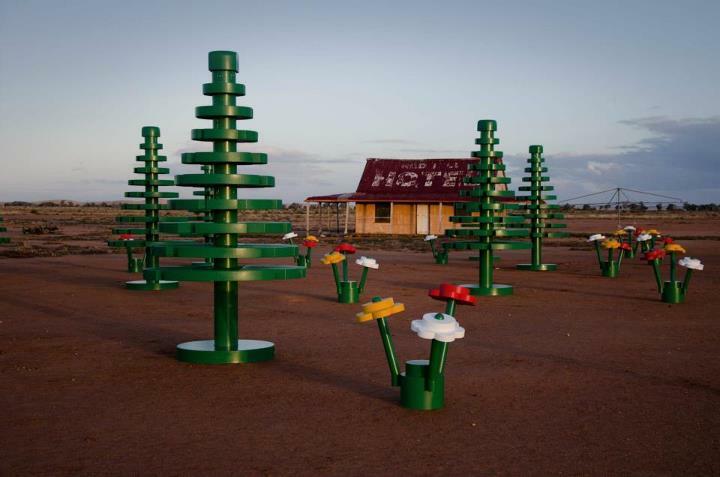 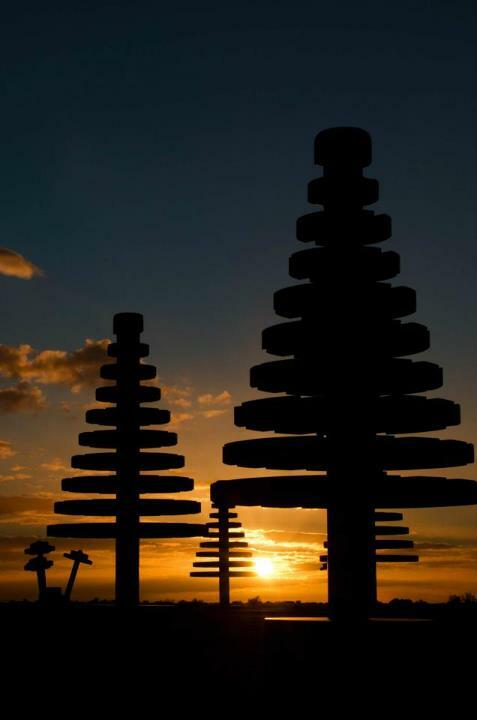 Appearing in Broken Hill from 2 July to 12 July, the Forest consists of 15 of the iconic LEGO ‘pine’ trees scaling 4 metres in height and 15 flower sets. 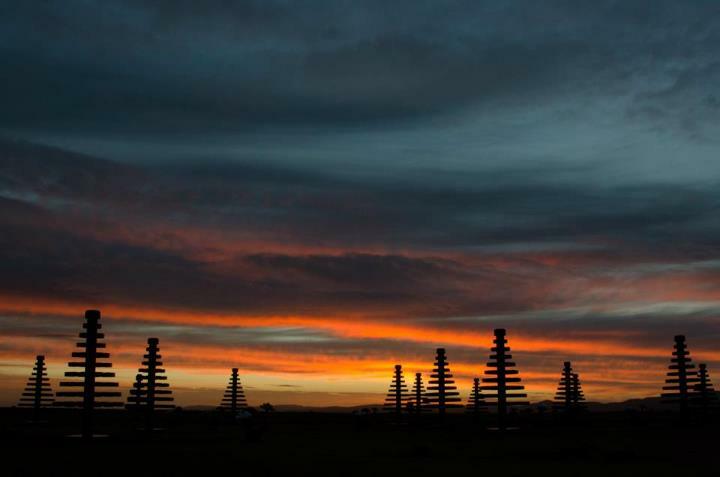 The pieces will be on display at the breathtaking Living Desert, a unique 2400ha reserve with spectacular views and numerous walking trails that allow visitors to get up close and personal with the Forest or climb to a vantage point and marvel at them from afar. 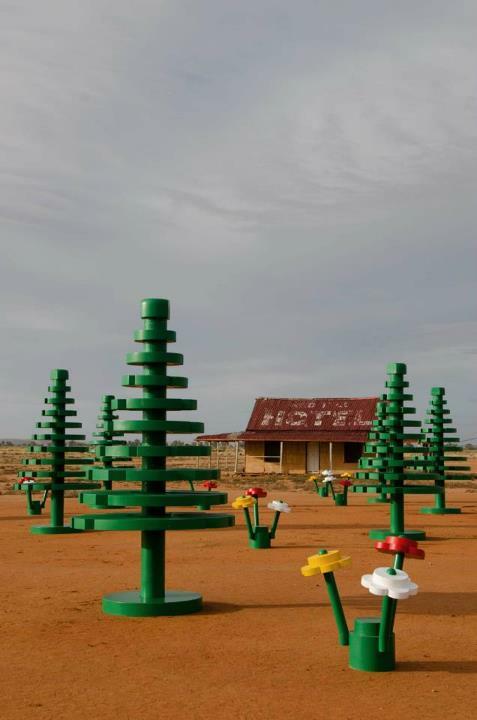 The LEGO Forest trees and flowers are 1:1 in ratio replicas of the original iconic pieces, but over 66 times bigger in size to make the magical play world a reality.